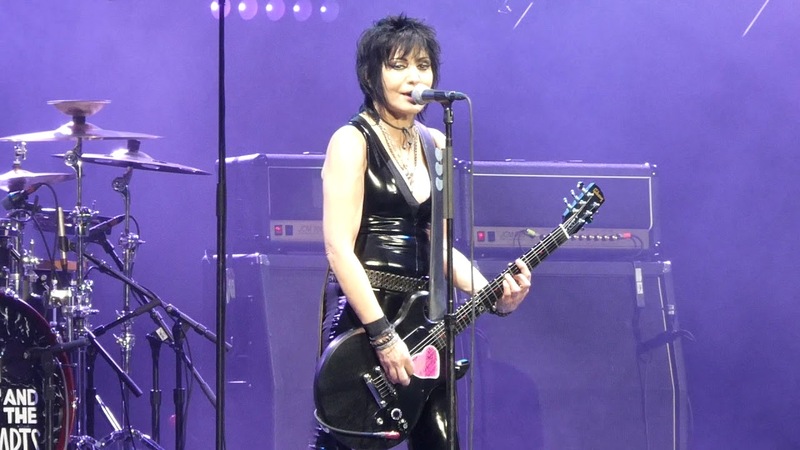 Rockers Joan Jett and The Blackhearts have been touring the globe for some time now and the group headed by one of rock's most iconic performers will be making more stops in the U.S. in 2019. Following a run of dates in Australia, Joan Jett and The Blackhearts will tour the U.S. for another leg kicking off on Feb. 22 and ending on July 13 in Chippewa Falls, Wisconsin. On April 19, Jett and her crew will perform at Golden Nugget Lake Charles in Lake Charles, Louisiana. Fans and concert-goers can expect to hear her biggest hits that span 40 years including "I Love Rock 'N Roll," "Bad Reputation," "Cherry Bomb" and "Crimson & Clover." Jett is set to perform songs from her 2013 album Unvarnished as well as the brand new song "Fresh Start." Tickets for the event at Golden Nugget go on sale on Feb. 15 at 10:00 a.m. and is restricted to only those who are 21 years of age or older. For ticket pricing and availability, click here for event details. Fans can check out the Bad Reputation documentary released last year featuring "Fresh Start." The film chronicles her life in the limelight as a woman where she was criticized and bullied. The film made its debut at the 2018 Sundance Festival and is available to rent or purchase digitally or on DVD. In her career, the Rock and Roll Hall of Fame inductee has had eight Platinum and Gold certified albums with nine top 40 singles.